adidas aims to help athletes perform better, play better, feel better. Our products break records, set trends, and make history. Every day. All over the world. Just as a shoe is more than padding and foam, there is more to us than just the product. Everything we do is focused on one aim: to help you perform at your best. 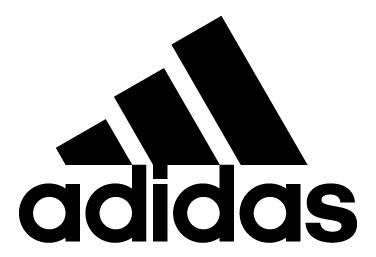 Visit the adidas website here. "Two Times You" is a world leader in high performance compression garments. Visit the 2XU booth to learn about the benefits of compression and how it helps multiply human performance. Exclusive event offers are also available. View the 2XU website here. nuun is the world’s leading electrolyte enhanced drink tablet. nuun contains an optimal blend of electrolytes that keep you hydrated for all levels of activities - whether you are running a marathon or a marathon of errands. Simply add an effervescent nuun tablet to your drink bottle and you’re ready to go! View the nuun website here. Be race ready with rebel and grab all your running essentials including your official City2Sea Race merchandise. Plus enter the major prize draw for your chance to win a $250 rebel voucher. Visit the rebel website here. Come and visit the TomTom stand to see their latest range of GPS Fitness Watches. Showcasing the latest Spark range which features 3GB of built-in music storage, built-in heart rate monitoring, 27/7 activity tracking, and all your GPS training requirements on their ultra slim and light weight fitness watch. With 25% off the range, there is no better time to try and buy! Visit TomTom.com for more information.